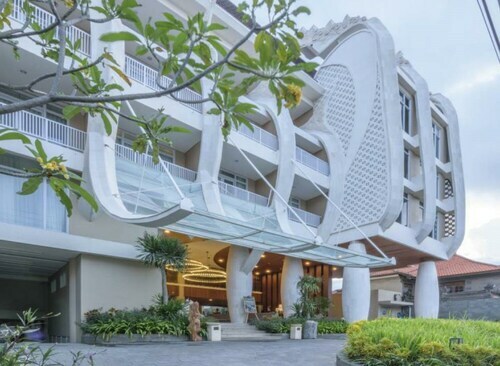 Located in Kartika Plaza, this beachfront hotel is in the city center and within a 5-minute walk of Discovery Shopping Mall and Waterbom Bali. 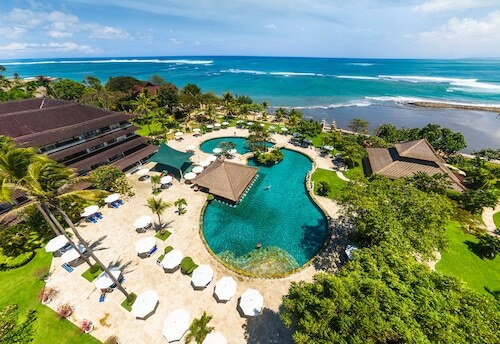 Lippo Mall and Kuta Square are also within 15 minutes. 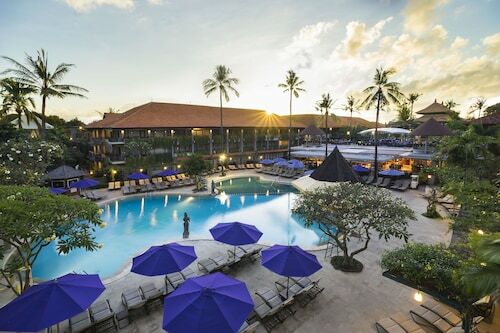 Of the many travellers who visit Tuban Beach each year, few regret the trip. 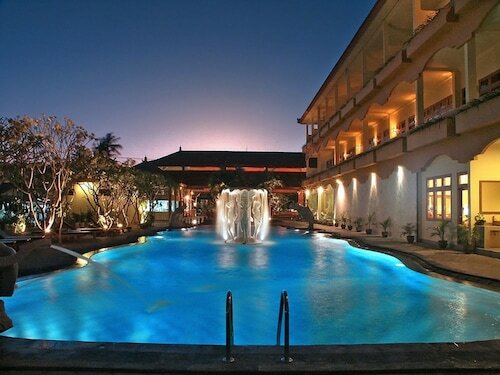 It is located in Tuban, a destination that has plenty to keep you busy. 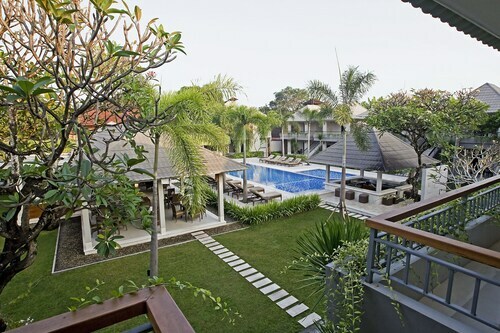 You can go for a short walk in almost any direction from Tuban Beach and end up at an amazing hotel. There are as many as 71 available within a kilometre. 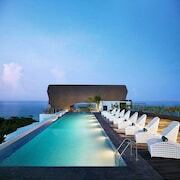 Have a look at the rates at The Sandi Phala, Discovery Kartika Plaza Hotel and 18 Suite Villa Loft by AMITHYA. Don't break the bank! There's a number of good budget places nearby. 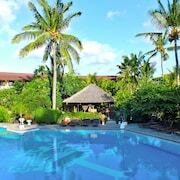 See how you like the amenities at the Green Garden Hotel or the Hotel Maria, 0.5 kilometres and 2 kilometres away, respectively. 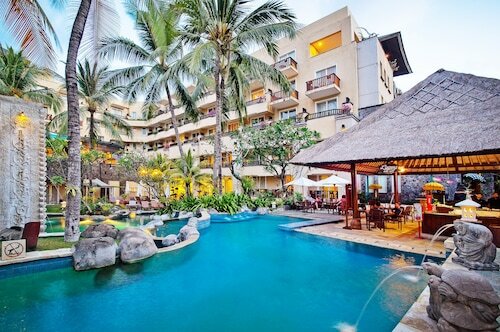 Or you could choose one of the numerous upscale hotels in the surrounding area. 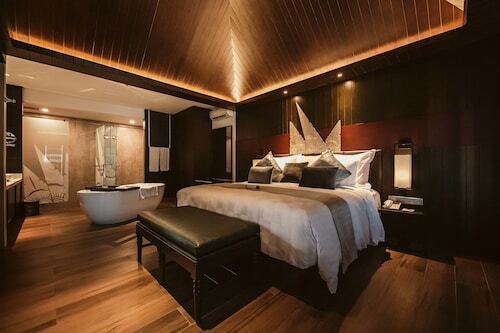 You know you deserve it! 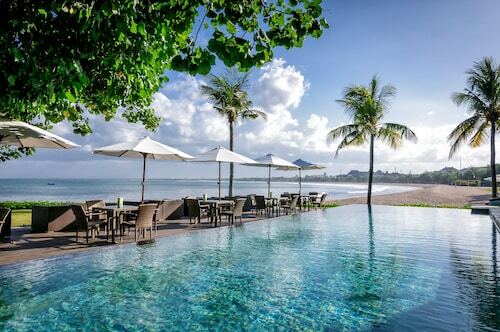 Consider the Sheraton Bali Kuta Resort, 2 kilometres away. 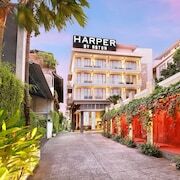 The Hard Rock Hotel Bali, a kilometre away, is also highly recommended. Before you spend the day at Tuban Beach, follow the fragrance of hot coffee to Black Canyon Coffee - Discovery Shopping Mall. When you just can't keep going before getting a good feed, head to Gabah. 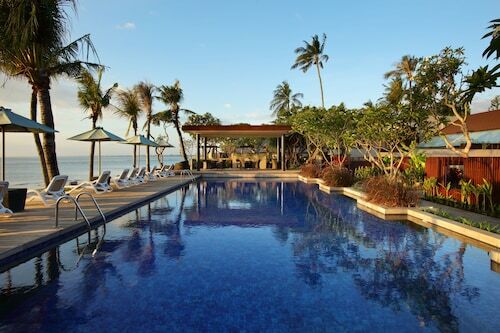 And later on, head straight to ENVY chill out bar & restaurant to quench your thirst. 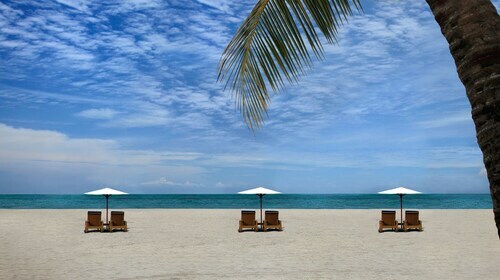 Plan an afternoon out at Segara Beach and take a deep breath of the ocean air as you soak up the sun. Lippo Mall possesses a large array of shops for every kind of taste. Hunt down some gifts for your friends at Discovery Shopping Mall. Splash about in the water to your heart's content at Waterbom Park, a destination where the whole gang can enjoy time in the water. If you want an exciting evening out, reserve tickets to a production at Kuta Theater. 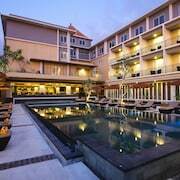 How Much is a Hotel Room in Tuban Beach? 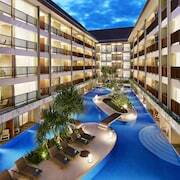 Hotels in Tuban Beach start at AU$40 per night. Prices and availability subject to change. Additional terms may apply.